Aside from pho (Vietnamese beef noodle soup), the banh mi (Vietnamese sandwich/Saigon sub) is arguably the second greatest Vietnamese import into the American food culture. Evolving from French colonial influences in Vietnam, the french baguette, pate, and mayonaise was combined with classic Vietnamese ingredients like cilantro, peppers, pickled carrots and daikon as well as the a plethora of meat options that make this sandwich arguably one of the best sandwiches ever invented. A good banh mi begins with good bread. The banh mi baguette in Vietnam has a crispy flaky crust with a light and airy crumb, almost non-existant–very unlike your standard hoagie/sub sandwiches at Subway or Quizno’s. When you bite into it, it shatters and you’re left with small bits of crust on the table. We’ve yet to find this type of baguette here in the states. The bread is usually spread with pate and a mayonnaise spread. There’s a plethora of meat toppings ranging from pork (grilled, cured, chinese barbecue), shredded pork skin (bi), chicken, and even fish such as sardines. It’s typically topped with slices of cucumber, pickled carrots and daikon, cilantro and hot peppers. Diane and Todd from White on Rice Couple has an excellent site on banh mi. Despite what you might think, we do not cook daily. We live about a 5 hr drive apart and so when we’re too lazy to cook on our own during the week, we always have nem nuong and thit nuong in our freezer to the rescue until we see each other on the weekends to cook. So to make lunch for this week, we stopped by our favorite Vienamese baguette shop in Little Saigon, Tip Top bakeries and picked up some great Vietnamese style baguettes to make Banh Mi Nem Nuong and Banh Mi Thit Nuong. Some of our readers have already made our nem nuong (grilled pork patties) to eat in bun nem nuong and spring rolls (nem nuong cuon)–but using the savory nem nuong in banh mi is another favorite and easy way to eat nem nuong. Grill the nem nuong. In the mean time, split baguette down the side (hollow out the inside if your bagguette has too much filling) and toast lightly. Spread on pate and mayonaise. Add the grilled nem nuong and top with cucumber slices, cilantro, pickled carrots and daikon and optional chili and a few spritz of Maggi or light soy sauce. Using food processor, process garlic until fine puree. Combine pork, garlic, salt, pepper and sugar in mixing bowl and mix well. In separate bowl, combine baking powder, water, drop of red food coloring or caramel syrup (this adds a very nice color to the pork when grilled) and stir. Mixture will fluff and foam. Fold the baking powder into mixture and allow meat to chill for about 30 min to 1 hr or longer for more bouncier, airy texture. The baking powder adds more firmer, bouncier texture. Now you’re ready to form the patties. Keep meat mixture in the fridge for a few hours to let it set and easier to handle when forming patties or mini sausages. Keep a bowl of water handy and your hands wet for easy handling. We use an indoor grill (such as George Foreman) as it’s quick, easy to clean, and makes great grill marks. Grill until golden brown and slightly charred. This is the first post in a series on banh mi. 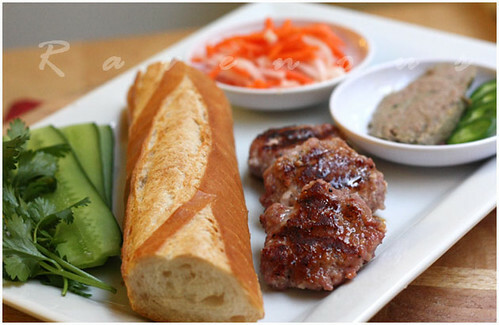 Stay tuned for our posts on banh mi thit nuong, homemade mayonnaise, and pate recipes! 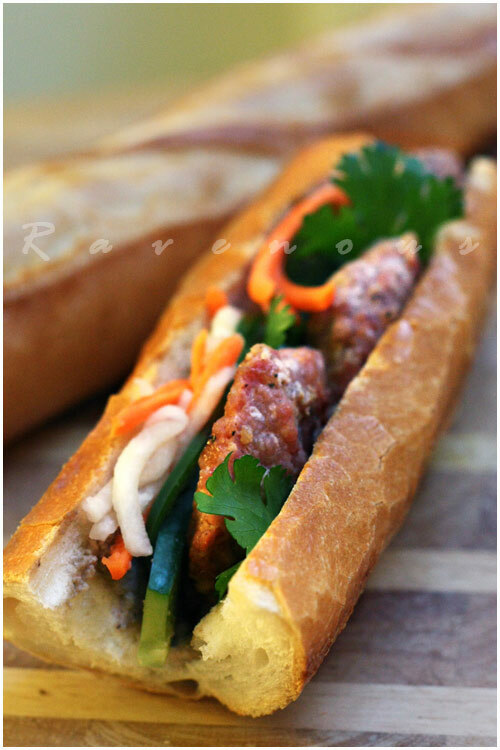 Yup – Banh Mi is definitely one of the best things Vietnamese people brought over! Just look at the popularity of Lee's Sandwiches. Your version looks great… did you buy your baguette from Lees? That looks delicious! My mom makes really good nem nuong. She uses this sugar-like white seasoning (or chemical? haha) to make the meat a notorious pinkish reddish colour. I love Pho and have had Banh Mi Nem Nuong on my list for a long time. I found a little restaurant that served them here in Sydney but I had just finished a lunch of Thai food. I was so sad! Your post has just reminded me to take another visit downtown…thanks! I neeeeeeeeed to try out your nem nuong recipe. krissy: Actually, Lee's baguette always seems to cut the top of our mouths…it's rather hard and doesn't last as long. We like tip top and top baguette. Vietnamesesummer: The white chemical is called "Nam" seasoning…when we took a look at the ingredients there's lots of words/chemicals we couldn't even pronounce so we avoid it. We like adding nuoc mau, caramel sauce instead for the coloring. 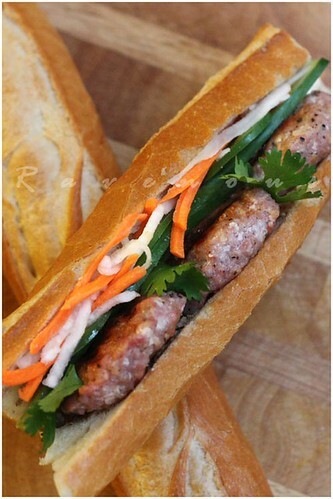 Megan: Give banh mi nem nuong a try and let us know how it goes! nikki: if you try our nem nuong, let us know how it goes! Well, I've been watching your blog for a month or so and tried a few of your recepies, all gorgeous! We live in the south of France and to eat Asian is a great treat. Unfortunately, I often have difficulties getting my hands on the propre ingredients. Anyway, thanks for your recepies, we love them! nata: Thank you so much for your kind comments on our blog. Do let us know about any difficulties with ingredients because there's always something you can substitute with. Hong loves the south of France from his trip many years ago…but I haven't been. MMM. I love Banh Mi! I can't wait for a Vietnamese pate recipe! Yum. Great photos, so vibrant! Jessica: We've been so busy this weekend, but we'll have the pate post soon! Maggie: Thank you! the banh mi also tastes great too! This is my new favorite food blog. Going to make veal bahn mi this weekend. 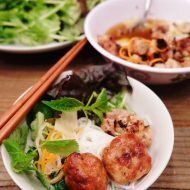 I made your nem nuong this past weekend, easy as anything (except in France you have to order ground pork)and they were gone in a flash. You'd think they'd been starving…but I ate the nem nuong cuon too, and I know how good they were! 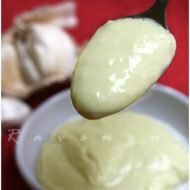 I just never realized how much garlic goes into it–wow! Thanks very much for the recipe. Next stop: banh mi nem nuong. I love this sandwich!! I didn’t grill the nem nuong and substituted mushroom pate but otherwise followed the recipe exactly. Having the sandwich for brunch and it is delicious!! Have to open the carrot and daikon bowl outside because my wife HATES the odor (I LOVE the taste!). Thank you for a real treat. Hi, just wonder if the baking powder used in your recipe is double acting or single acting? Would you also mention the brand of baking powder used in this recipe? 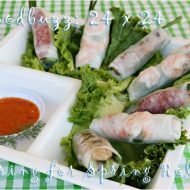 I recently tried out your recipe for Nem Nuong. Not only was it was delicious, the texture was perfect – crunchy on the outside, “bouncy” on the inside! You mentioned keeping Nem Nuong in the freezer. What’s the best way to do this? Before or after forming patties? Before or after grilling? I’ve recently returned from Vietnam and agree this is probably the best sandwich ever invented. WE at ethe two world famous renditions in Hoi An. Their baguettes are made with some rice flour (the Asian influence) and this is why they have a flaky crisp outer crust and a much softer inner dough than a regular french baguette.